I really like these neoprene pouches. 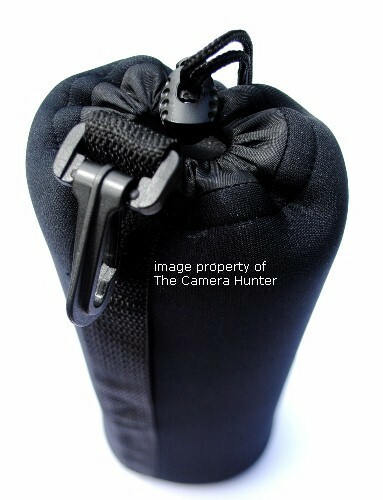 They are on the top of my favorite lens pouch list. Why do I like them so much? Well, I will tell you...they look good, they have a loop to attach it to a camera strap or belt, they are soft and durable, not bulky, and well made. 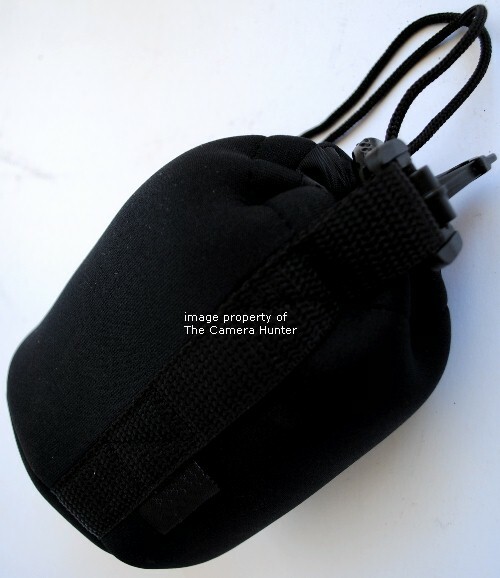 I would have to say my favorite thing about these pouches is the clip, yep...that's right...a clip so I can quickly clip it to my belt loop, camera bag, etc. 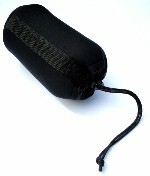 It's a very handy feature of these neoprene pouches. The neoprene material is ¼ inch thick on all sides with a drawstring closure and locking clip. The internal measurements are 9 inches deep x 4 1/2 inches across. It is very light weight and attractive. They would be great for people that like to go backpacking. 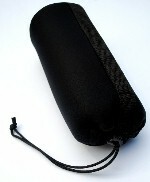 As you know Neoprene is the material they use to make SCUBA diving suits, consequently these cases are water resistant. It would take one heck of a rain to soak through the seams. 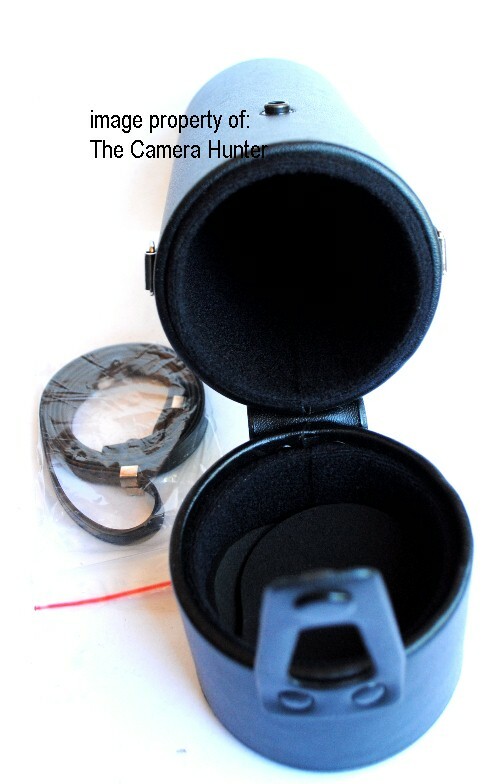 Here is a hard black leather snap camera lens case with a black strap. It is in great physical condition! Great for storing and protecting your lens. Brief internal measurements: 8 inches tall x 2.75 inches wide x 2.75 inches deep. 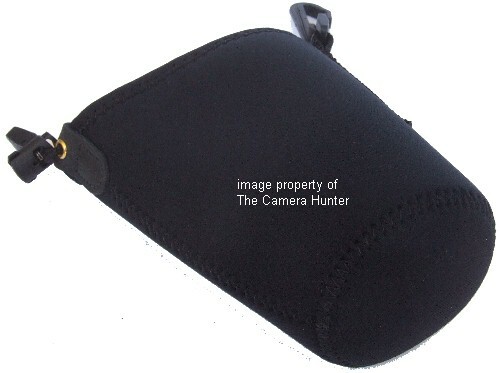 Here is a hard black leather snap camera lens case with a black strap and cushion foam. It is in great physical condition and comes in original boxing! 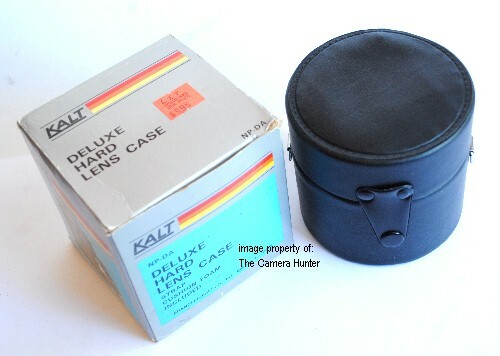 Great for storing and protecting your lens. Brief internal measurements with foam: 4 inches tall x 2.5 inches wide x 2.5 inches deep. The internal measurements are 7 inches deep x 4 1/4 inches across. It is very light weight and attractive. They would be great for people that like to go backpacking. 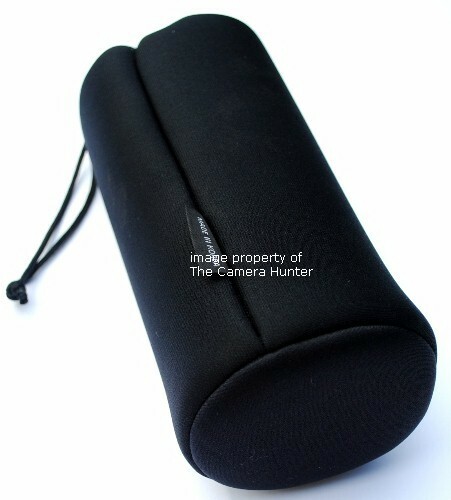 As you know Neoprene is the material they use to make SCUBA diving suits, consequently these cases are water resistant. It would take one heck of a rain to soak through the seams. The internal measurements are 5 1/2 inches deep x 4 inches across. It is very light weight and attractive. They would be great for people that like to go backpacking. 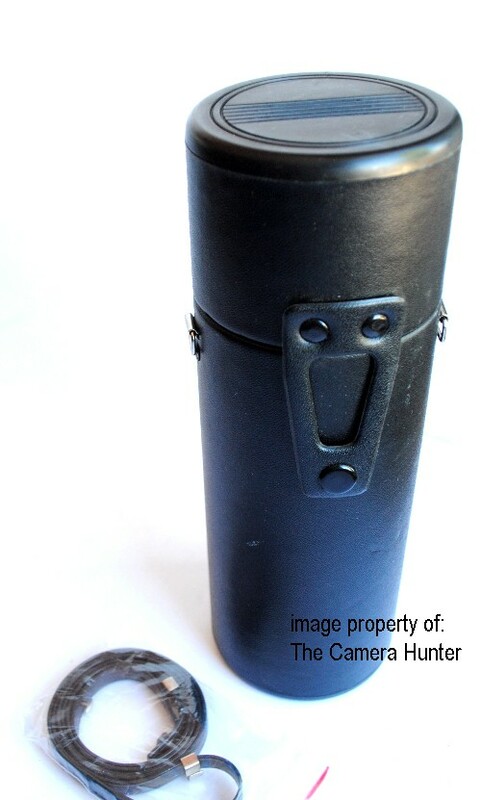 As you know Neoprene is the material they use to make SCUBA diving suits, consequently these cases are water resistant. It would take one heck of a rain to soak through the seams. The internal measurements are 4 ½ inches deep x 4 inches across. It is very light weight and attractive. They would be great for people that like to go backpacking. As you know Neoprene is the material they use to make SCUBA diving suits, consequently these cases are water resistant. It would take one heck of a rain to soak through the seams. 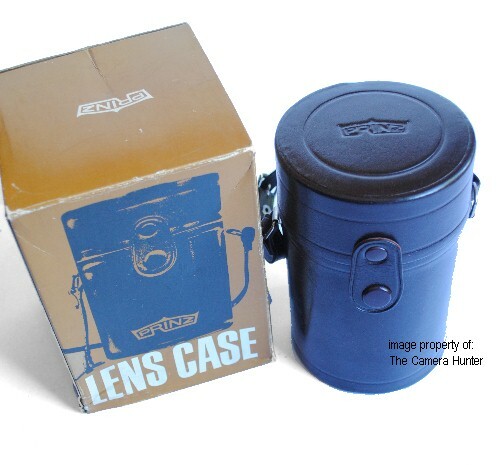 These are no ordinary lens pouches. 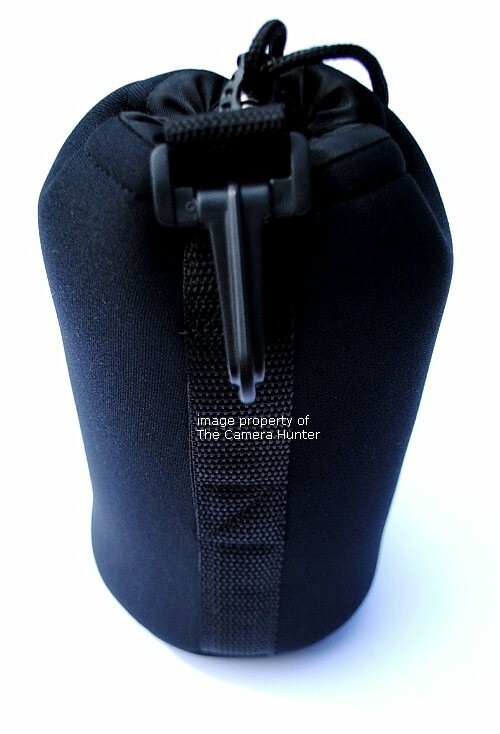 No longer do lenses have to be put in a square pouch the SNOOT BOOT is cylindrical just like a lens. 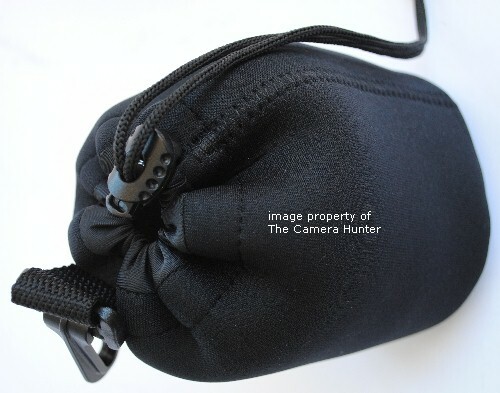 The wide-mouth opening makes it easy to retrieve a lens while the drawstring closure secures it tightly with a spring lock. The SNOOT BOOT can be attached to a belt or a D-ring of a photo vest so that it's always available. Note: dimensions given above are the actual pouch. 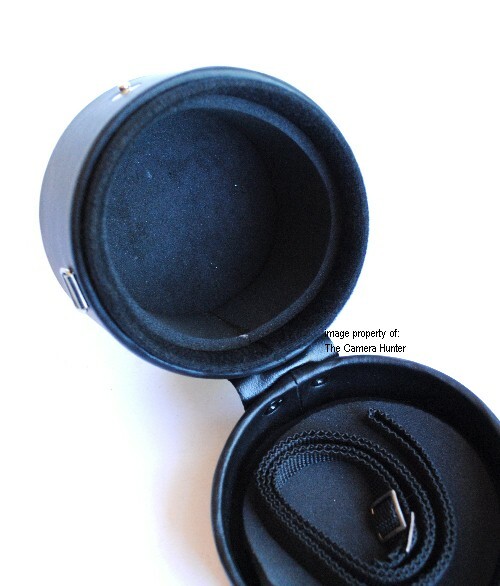 Allow an extra 1" (2,5 cm) length beyond the length of your lens to ensure a proper fit. 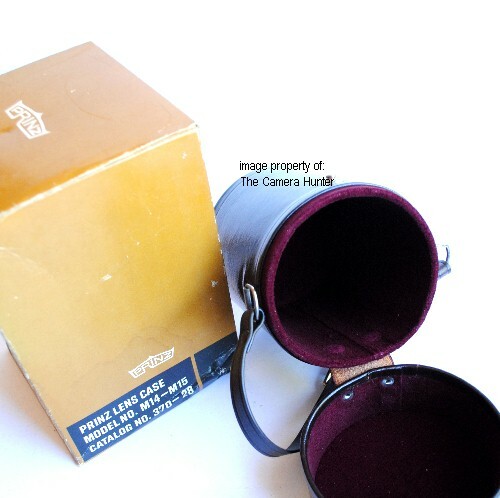 Here is a hard brown leather snap camera lens case made by Prinz. It is near to new condition and comes in original box. 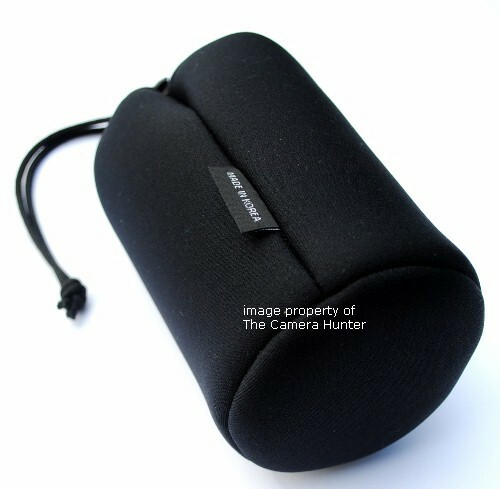 Great for storing and protecting your lens. This particular case is a rare find being brown with maroon interior and all. Brief internal measurements: 5 inches tall x 3 inches wide x 3 inches deep.